If you are an amateur content marketer and you have just started with your blog, the first thing you need to think about, besides the content itself, is to find a good strategy for quality backlinks. I am going to deal with this issue throughout this article and present you with some of the best strategies that will answer the main question: “How to get quality backlinks?” First, however, I would like to define the main concepts that are related to our topic and walk through it, step by step. You are a content marketer the moment you hit publish on your first blog post. As long as it is a public blog, you want to reach out to a selective audience and get to be read. You can do it in order to build a strong personal brand, to promote some of your ideas or just because you hope that someday, you’ll get to earn some extra cash via advertising or affiliate marketing. Whatever your goals may be, one thing is for certain: in order to get to the relevant audience, you need to promote yourself. You need to engage in marketing and, for beginners, the best form of self-promotion is through content marketing. “Content marketing is a strategic marketing approach focused on creating and distributing valuable, relevant, and consistent content to attract and retain a clearly defined audience — and, ultimately, to drive profitable customer action”. The most important information you can extract from this definition is the three concepts of “value”, “relevancy” and “consistency”, three elements that constitute the backbone of any content marketing strategy. These are the elements that can make your audience want to read your blog on a regular basis. They are also the elements that will help you get known, attract new readers through organic search and build an influencer’s reputation among your peers. There are many reasons you should hunt for backlinks. Let’s take a quick look at some of the most important reasons and discuss the benefits. Since the beginning of online search as the main source of organic content, backlinks were a matter of importance for all marketers, SEO specialists and bloggers altogether. Sure, the importance of backlinks has diminished throughout the various search engine updates but as long as they are relevant, they still matter in the great scheme of things. What do relevant links mean? It means they should come not only from trusted sources, from websites with great authority but also, from websites that publish similar or related topics. Your main worry at this point, especially if you are only beginning your blogging adventure, is how to drive in organic traffic. Backlinks can get you, however, more than just that. They can also drive in referral traffic, a new audience that follows the links published on other websites that cite your ideas and link back to your pages. 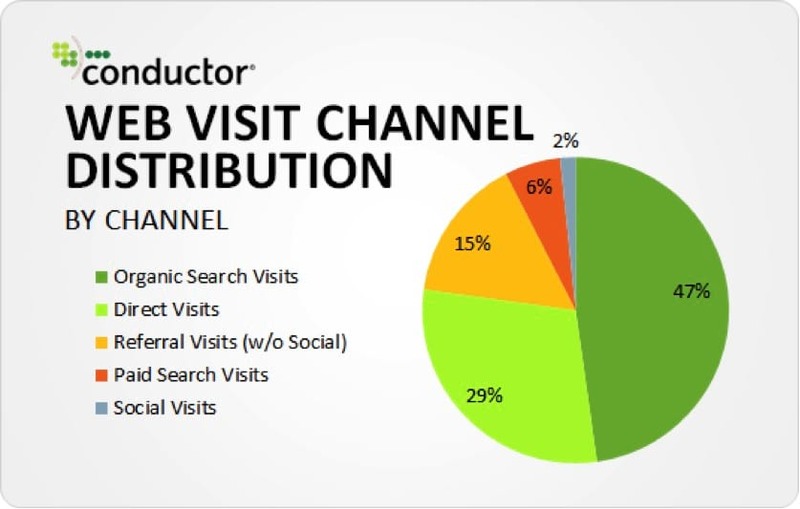 According to Conductor, only 47% of the total traffic of a website comes from search engines. There is also a 17% traffic that comes from referrals and social visits that needs to be taken into consideration. Backlinks make your blog or website more visible. It gets exposure and at the same time, it exposes relevant audiences from other websites to your brand and in many cases, your ideas. People tend to get familiarized with things they repeatedly see or hear of. Take for example this simple research that was conducted at the University Of Arkansas. Music psychologist, Elizabeth Margulis, presented a test group with two distinctive recordings of the same musical composition. One was the original recording of a Luciano Berio composition, the other one was the same piece edited and adjusted to fit more repetitions. In other words, parts of the compositions were set to be repeated for successive times. All test group subjects said they liked the edited part better. The test proved that repetition is effective when you want to make someone like something better or at least be interested in that thing. Things are the same when it comes to marketing. And this is why advertisers are always thinking in numbers. The more people see or hear about your brand, the better will they know it or at least, think they know it. Backlinking builds a stronger brand but this is also important when it comes to authority. If your brand is influential, people seem to trust it more. With trust, comes recognition and the audience grows exponentially. Sometimes all you have to do in order to get relevant backlinks is to write valuable and citable articles, wait for the search engines to index them and maybe, share your pieces on social media. If you have friends among your peers, things will also happen a lot faster than usual, especially on social media. Apart from writing and just waiting, however, there are some effective ways in which you can work towards driving in more relevant backlinks. To this end, I’ve asked some of my acquaintances and peers, bloggers that are active writers and at the same time active self-marketers, to share some of their best strategies with me and my readers. You can always go with the flow and check the latest trendy topics from your industry and try to adapt your writing to them. This is also available for podcasts and video blogs. “Last year I published a case study on Fake News on Facebook Ads. It generated several hundred press mentions from high authority publications. I think the reason why it worked was that the entire world was reading stories about Fake News on Facebook and we were able to create an experiment and share data to explain to regular folks how bad the problem was, so Journalists were happy to include the story in their stories on the subject”. What did he mean? Why was his approach to link building favorable? Well, as I have already said, he chose a topic that was on the news at that time. He chose a topic that was trendy and on everybody’s lips. Moreover, the piece he published was well documented and of good value to the targeted audience, enough to generate interest and relevant backlinks. Writing about the products or the services you love might also be a great strategy to get the attention of other websites and get them to link back to you. George fromGrowth Hit used this strategy, as well and he chose to tell me about it. “Recording and posting on YouTube a highly favorable review of a related product – unsolicited (they didn’t ask for the review) – and then informing the creator before and after it goes live. Wish I thought of it, but a lifestyle brand did this for a client of ours and it worked like a charm. I have permanently added it to my tactics list” he said. Make lists, write reviews, including some of the well-known brands or companies and let them know you have been writing about them. If they like what they read, see or hear, they might also share your stuff on social media or mention your piece on their own blogs or websites. According to Yam Regev from Zet.is, the strategy works if you have the chance to meet the right people. “Link building has become a commodity. And the biggest trap these days is that marketers and SEOs really believe in that. Let me explain: We all do link building, whether we want it or not, or whether we do it on purpose or not. Now, if an SEO expert sees their link building efforts as a pure commodity, he is going to get screwed over when “bartering” this community with another party. Why? backlink building should really be the byproduct of your commoditized marketing efforts. If you trade links against money, or against more back-links or another unsustainable method, you’ll not extract the most out of this link building effort and lose some pure SEO juice. Instead, give back something valuable in return. In Zest’s case, we call it ‘Mutual Back Scratching’ 😉 Basically it means that when a blog, blogger or publications are writing about us + adding a link to our homepage or one of our LPs we will give them more exposure on one of their community-approved and distilled articles on Zest (along with a disclaimer ribbon that says that this article was “Boosted by [NAME]”). We also add to that a faster community-approval process for one of their articles. As long as both sides are not hurting each other’s community and brand values, we are OK with that. In this way, all sides are happy: We get a linked mention from an article which usually generates highly engaged traffic (comparing to ads for instance), and we give back good exposure from our elite community members. And most importantly, our users/members not being used, hurt or exploited while the Boosted content they see on Zest is still of the highest quality. Good karma for everyone “. This strategy is as old as the Internet. “We start with a bit of research across the web. Trying to find sites with authority that produce similar content to ours, and reach out to them with an honest message to exchange a link for a link where we see it makes sense. 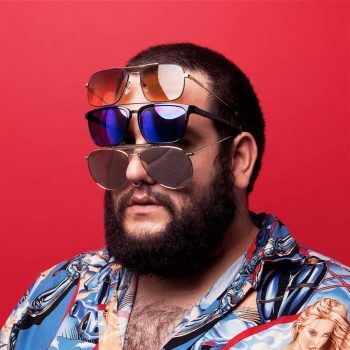 Also, working with influencers has been growing in importance for us in helping our page move up the ranks”, said him. The strategy is similar to what we’ve discussed in the previous chapter. You need to search for influencers in your industry but instead of reviewing their products and services or giving backlinks to them, try to contact them and negotiate a mutual agreement that will benefit you both. Bloggers, whether they are just starting or they are already influencers among their peers, they are always searching for data and information that can easily back up their ideas. They need actual research, stats, and valuable data and they are always linking back to their sources. Do you want relevant backlinks? Get cited. “Publishing original research is my favorite way to get backlinks. 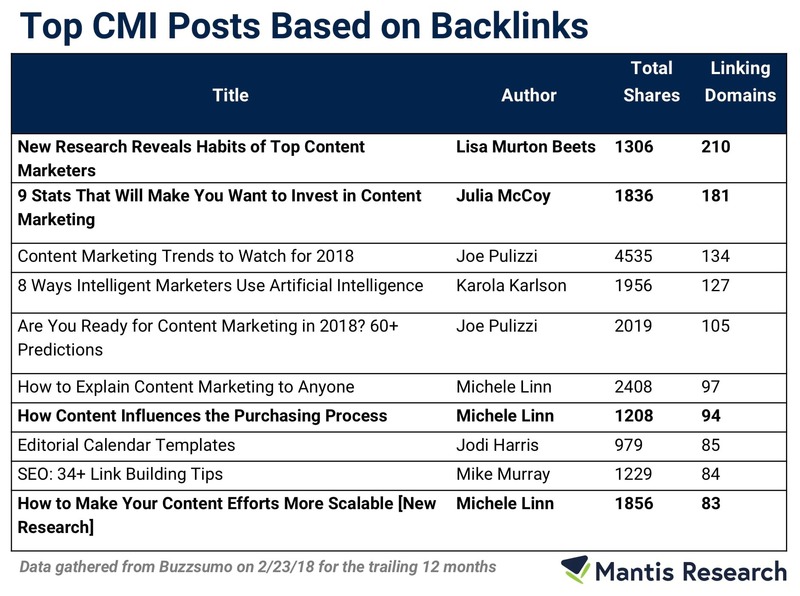 Research from SEO PowerSuite found that data and research are the most efficient types of content for building links, and the Content Trends report from Buzzsumo shows that authoritative research is one of the best ways to consistently get links. My experience has shown this as well. I used to work for CMI, which publishes almost-daily content. I used Buzzsumo to discover which of our posts received the most backlinks, and 4 of the top 10 posts were based on research: three were original research reports we published and one curated industry research. Why does research work so well? When you find data to answer questions, you become THE source of authority in this space, and people will write about and link to you”. “The best link building strategy I’ve found is to reach out to your target audience to fill out a survey to create original data. I helped do this for Orbit Media’s annual blogger survey, which resulted in over 430 links in six months”, he said. When it comes to content marketing, the content itself is the most important thing you need to focus on. In many cases, depending on the value of your pieces, the backlinks will come from your peers instantly. I have already talked about great pieces of individual research but they are not always everything you can do in order to share something of value. Great ideas and well-researched articles may also prove to get you to the same results. “The fun part of link building is that it always seems to be changing. What worked last year might not work as well this year. As an SEO, who spends a majority of the time writing, I’ve found that generating high-quality, long-form, and evergreen content is the first step to finding real success in link building. Why? Because nobody wants to add a link to your site if it’s crappy and providing no value. But if you’re actually sharing useful information (not just content focused entirely on your own brand), people are generally happy to oblige. This can also result in more social shares which I’ve said time and time again do influence SERPs. Remember, adding high-quality links and sources to their content also makes them look more credible. So while “creating quality content” might sound like a broken record, it’s truly the foundation of a good link building strategy. It will make your job a heck of a lot easier. Otherwise, you’ll find yourself haggling or bartering for links which are never what you want to do, and technically not how Google wants you to do it either. This route guarantees you’ll get a lot of high-authority natural links without lifting a finger or ever shooting off an email. If you have to ask for every backlink you are getting, you’re doing something wrong. And you’ll probably burn out before you achieve the results you’re looking for” said Brian Jackson from Kinsta. Also, visual content may also help you build more valuable posts and get more backlinks. People are always looking for Infographics, Graphs, and Videos to cite and include in their own blog posts. Also, visuals are great for social media, since most of these channels are focusing on this type of content. Relationships are important at any level of your professional career and they are important in your personal life as well. When it comes to a blog, great and valuable relationship are formed between peers, people who share similar interests and write about similar topics. “The best link building strategy is to stop thinking about link building and start thinking about building relationships: what can you OFFER the person you’re trying to reach out to in the first place?” said Louis Grenier from EveryoneHatesMarketers. What he means is that relationships are two ways streets. They are always based on trust and communication but also on the exchange: you give something and receive something in return. In this context, it’s all about backlinks. It’s all about supporting each other’s evolution and progress. “Public relations. Building relationships with journalists, and understand what they are interested in can really guide your content strategy. In one case, a journalist told us almost verbatim that she was interested in which Alabama cities were growing the fastest. We produced this post practically overnight, and boom, instant links”! One of the most effective ways to generate backlinks to your website from other blogs and website with authority is through Guest Posting. You will have to work a little bit more, as you need to find the right blogs for you, find out which one of them accepts guest authors and writers to their editors to propose your topics. Once you are accepted, they will usually make you an author account that features a short description and a link to your blog. This description appears at the end of each post you publish as a guest. Also, many websites allow you to include some of your links inside the articles you write. “The best strategy is still the same as it was in the last couple of years – make great content with valuable advice (that includes a reference to your website) that people will actually appreciate, learn from and share and offer it as an Op-Ed or guest contribution in other websites”, said Nadav Dakner from Inbound Junction. “Through trial and error, we have found that guest posting is within your control to not only proactively get backlinks, but have influence over the anchor text and page on your site you are linking to. The only problem is that it is highly time-consuming and difficult to scale. We have hired a writer and an outreach to find good opportunities to submit guest posts to get a handful every month. In addition to this, we have also been using inbound journalist requests such as HARO (Help a Reporter Out) to find inquiries from journalists who are looking for a source. We submit pitches and sometimes get backlinks from authoritative news websites” added Edmund Zaloga from Responsify. A lucrative and valuable exchange is always a great path to success whether you are thinking about personal life or business. A personal blog combines the two areas of life in many ways, hence the choice of this strategy as one of the best. “We used to mass-outreach to a number of sites, asking to include a link to us in a specific article or page. Of course, we also explained why the link would add value to that specific content. This tactic results in an email-to-link conversion rate of about 4%, and we’ve seen that you mainly get links from lower authority sites using this tactic. Recently, we segmented the high authority sites from the list and tried a different approach: giving them something first instead of asking right away”. 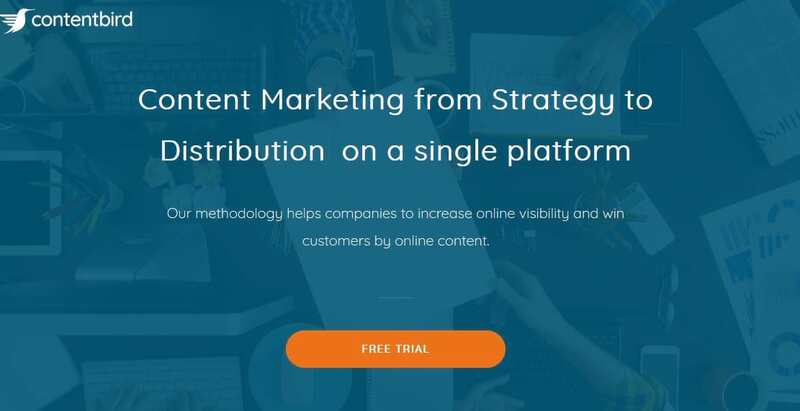 “You need to think what exactly you can give: for example, when reaching out to content marketing agencies, we proposed to include one of their case studies in a guest article ’20 Great Content Marketing Case Studies’. Do not talk about getting a link for them in the first email. When they answer, you can ask for the link and we’ve seen the email-to-link conversion rate of 30% using this tactic. Moreover, you create a real relationship with these people which can lead to much more than links in the longer term. Here are some reactions after the first (cold) email: “The offer is actually surprisingly interesting. I’m sure you can appreciate that I’m surprised – I get all sorts of rubbish offers but you actually seem to care about relevancy which is a great start.” “I like your approach to get some links back to the site! Give a little first and the rewards will come as they say! I’ll certainly check out the content on the site in a bit more depth and if the right opportunity arises in future I’ll certainly look to reference it where relevant…”” he added. If your budget allows it, you can think even further. For instance, you can try and get backlinks for some of the most valuable sources available at this moment, the educational websites most of which belong to high rated universities. “Offering a scholarship to students at universities is one of the best link building strategies I’ve been using,” said Tom Casano from Sureoak. “By offering a scholarship for a student who is attending college, you can reach out to universities and get backlinks from .edu’s. University websites have very high trust flow and high domain authority. The very first time we used this strategy, we saw over a 5x increase in organic traffic. 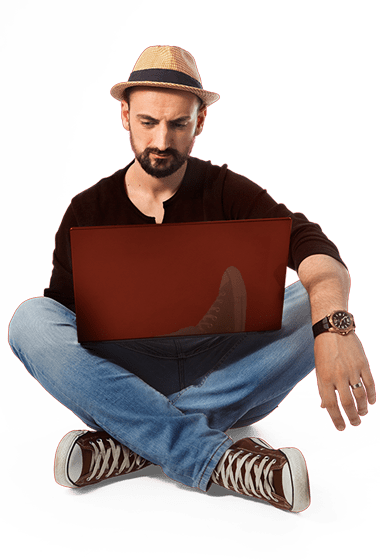 This strategy takes time and focuses to get backlinks from universities, but if the website is well-optimized and has very extensive and high-quality content, it can be very effective” he added. I know, this strategy is not cheap but at the same time, it is available to all marketers, even the amateurs ones. “We stumbled across an easy way to get backlinks last year. All we did was create a list of helpful software in our space (non-competing) that our target audience might be interested in. Then we asked each software to link back to the list in their blog. Nearly all of them gave us a backlink, plus many of our blog readers did too. On top of this, the list ended up ranking highly and generated hundreds of social shares. Now whenever we want a boost in backlinks, we use the same tactic.” said Terry Ibele – Head of SEO from Wild Apricot. You don’t need to be a big company in order to think about investing some of your funds in marketing. All you need is the funds, of course, and the will to get to the top. If you do not have time but at the same time, you want to market your blog, attract new audiences and get quality backlinks to it, you can always choose to externalize this task and hire the services of a professional company that deals with these issues. “Honestly the best I’ve used thus far is to outsource it to solid companies. One company I’m working with places quality contextual guest post links on websites with real audiences for around $200 a pop. I can get around the same price working directly with aspiring writers, but it’s a lot more work” said Jacob from JacobMcMillen.com. Also, if you want, you can semi-externalize the tasks and choose to work with some of the tools that are available at this time for exactly this: to get quality backlinks for your blog. Headlines are the most important thing when you write a blog post that you want to get quality backlinks and attract a wide audience. Coschedule’s free tool does exactly this thing: It analyzes your headlines and gives valuable advice on how to adjust them for maximum efficiency. Broken Links are a serious threat to your overall search engine rank. And, we know that search engine ranks are important for organic reach to your audience. Fortunately, there are tools available, such as this one, that can crawl the web for you, search the broken links to your pages and thus, allow you to contact the website owners and ask for them to resolve the issues. This simple tool may be all that you need in order to build your quality backlinks strategy and analyze your progress and everything you need to do in order to get better at it. What can you do with LinkBird? Well, for starters, you can analyze your backlink profile, your ratings and conduct keyword research for your present and future posts. Also, the tool allows you to track websites with high-quality incoming links, analyze their strategies and where they get these links. In other words, you can analyze the competition, see who links back to them and chase for the same backlinks. This tool provides a series of backlinks check tools and allows you to better understand the backlinks to your blog, give you a clear view of what your competition is up to and as a consequence, helps you build your Backlinking strategies. Linkody provides you with information regarding the number of links, when each link was discovered, where the URL is coming from, the anchor text and the Moz Domain Authority. Backlinks are the backbones of your marketing strategy. They are important for professional marketers and for amateurs as well as they allow you to build lucrative strategies for branding, business expansion, and audience growth. With this article, I have tried to pinpoint some of the best strategies you can use in order to get quality backlinks to your website or blog. At the same time, I have tried to pinpoint some of the strategies that are well suited to amateur marketers and bloggers. To this end, I have asked a series of content marketers to share some of their findings and knowledge and guide us through the entire process. There’s a lot to learn from them and at the same time, you can now adapt your own strategy according to their responses. What other strategies do you use and how lucrative have they been proven to be? Can you contribute with some insightful knowledge to this guide? What Other Skills Do You Need To Be A Better Content Marketer?